A modern classic hip hop soundtrack to Black Panther that should make T'Challa proud! It was pretty clear early on that Black Panther might be one of the greatest modern super hero movies – and an important one for the political and cultural climate of the late teens – so the pressure was on to deliver a relevant soundtrack. 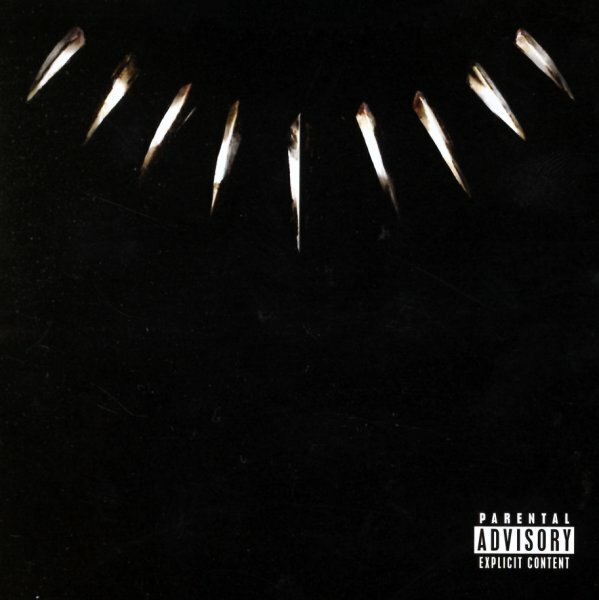 What's stunning is how creatively uncompromising it is, with sharp, lyrically pointed tracks by Kendrick Lamar – and with no watering things down to PG-13 on this unedited version – plus tracks by Schoolboy Q, Vince Staples, The Weeknd, Ab-Soul and more. Kendrick headlines or guests on several tracks including the title track, "All The Stars" with SZA, "King's Dead" with Jay-Rock, Future & James Blake, "Big Shot" with Travis Scott and "Pray For Me" with Weeknd. Other tracks include "Opps" by Vince Staples, "I Am" with Jorja Smith, "X" by Schoolboy Q, 2 Chainz & Saudi and more. © 1996-2019, Dusty Groove, Inc.